This Christmas at Every Nation Church, New York, we have the opportunity to practice generosity. Until the end of the year you can make a difference by giving to projects globally, locally, and specific needs in our church. We are believing in faith to raise $200,000 to be split between missions and operations. Let’s give big. Or alternatively text ‘ennyc’ to 77977 and select Big Give. $10,000 Ray of Hope. Your giving will help local people and church members in need of a helping hand. $10,000 New City Kids. Your generosity will fund teenagers in Jersey City to change their educational, spiritual, and developmental future. $10,000 India Church Building. Be a part of building a church and community center in a village in India. Bring the gospel to people who do not know Jesus. $ 5,000 Every Nation Mumbai. Help our sister church in Mumbai, India to reach the city for Jesus. $10,000 Pakistan Water Pump. Help villages in Pakistan to have clean water in name of Jesus. $10,000 France Church Plant. Our sister church, King’s Park, is sending a family, the Kiefers, to Paris, France to help with a church plant that is just starting in the city. We want to help support their ministry as they relocate. $25,000 New York City Initiative. Your giving will support local missionaries and ministers to sustainable live here and reach people for Jesus in New York City. $20,000 Specialized Sites. We support several specialized sites that are limited in funding because of the people groups that they are reaching and others are just in the planting stage. Our generosity will help these congregations to go to the next level of impact. $40,000 Admin Staff. In light of our reorg, we need to strengthen our administrative team, which include our finance team, communications team, and HR department. Your giving will help us to make necessary additions and changes. $20,000 Worship Service Venues. Help us search for a more suitable venue for our AM site and also to equip our PM venue so that more people can experience God in each space. $10,000 2019 Volunteer Appreciation. 2018 ENNYS was a huge success, and we are estimating that we will have over 200 volunteers across all of our sites/churches in 2019 that we want to honor and bless. $10,000 Equipment / Computers / Cameras. Your giving will upgrade our old equipment so that our volunteers can serve with joy without annoying glitches. $20,000 Youth and Campus Outreaches. Your generosity will find various outreaches to youth and college students throughout New York City. Click here to find out the different ways you can GIVE. 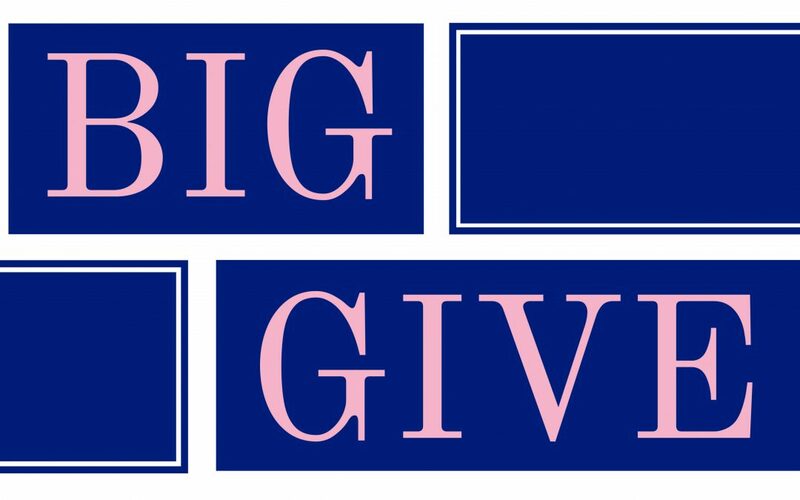 Just select or indicate Big Give.